The sight of well-organized plastic storage containers is awe-inspiring for those of us who have piles of stuff without a place to put it. Plastic storage containers do a great job of helping to organize seasonal, bulky, and many other types of storage in our homes. Find out what you need to do before you buy storage containers. In order to determine the right type of storage container, you'll need to know what and how much storage you need to fit in the container. So gather it up. Stack it all in one spot to help determine exactly what your needs are. You may be surprised to find that you have a lot more to pack away than you thought. This is also a good time to sort through and pull out items that can be thrown away, given away, or returned to the people they were borrowed from. Don't be afraid to let go of items you may not want in favor of the things you really need to store. 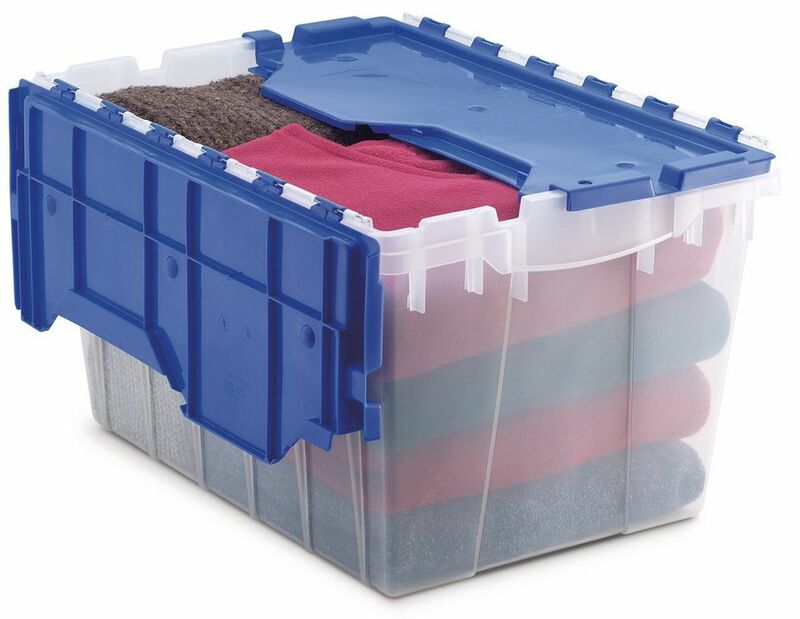 Plastic storage containers come in a variety of colors. Many people like to pick a different color depending on what they are storing. For example, seasonal clothing goes in a blue container, Christmas decorations in a red one, sports equipment in a green container, etc. Other people opt for only clear plastic storage containers for all of their storage. One of the benefits of choosing a clear container is that it's easy to see if a needed item is actually in the box without emptying it. Choosing clear only can also make your storage appear more uniform. Extra clear containers are usually easy to find. It's easy to forget how quickly the empty plastic storage containers will become heavy, burdensome boxes when we add our stuff. In order to keep your storage mobile, opt for the biggest box that will still allow you to move the filled container without the need for special equipment. Consider what will be placed in the storage container. If you're storing books, choose smaller containers, than if you are storing stuffed animals. Having many smaller containers that can easily be lifted will be better than one giant container that requires you to rent a forklift to move it. Don't forget that the box itself will have to fit in a designated space in your home. It won't do you any good to find the perfect box if it doesn't sit where you need it to. Measure your space, write down the measurements, and take them with you when you go shopping. Handles may seem like the least of your concerns when you are considering which storage containers to purchase, but they make a big difference when you want to move things around. Sturdy handles that won't break or crack are what I look for before purchasing plastic storage containers. Avoid any containers that have handles that are built in at the lid only instead of the actual container. If the lid only supports the entire weight of the container, when it is carried, you'll have a recipe for trouble. Lids are flimsy and can crack easily. Check out the handles and make sure they will work for you. When purchasing a storage container, don't forget to examine the lid. Make sure the lid fits properly and isn't damaged. If you will be stacking boxes, will the lid support that? Stackable boxes often have an extra lip on the lid that corresponds to an opposite lip on the bottom of the box, preventing stacked boxes from slipping off of one another. Go ahead and stack the boxes together and make sure they will work, and hold up to the weight of your storage.